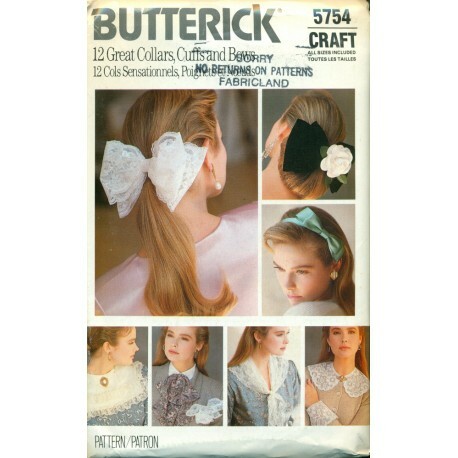 Bow accessories and barrettes for your hair - lacy peter pan style collar, jabot style collar and more styles to choose. Great to help you restyle and redo your wardrobe giving it a new and slightly vintage look. Even a handkerchief pattern. Nice sewing pattern from Butterick and the 1980s. Condition : Uncut, still in factory folds. Store stamp on front of the envelope.